A map showing the navigable inland waterways, with the man-made canals and dammed rivers displayed in dark blue. The natural rivers are shown in light blue and are not open to navigation. The inland waterways network allows barges and boats to cruise from the English channel, or countries to the north and north east of France to cruise down to the Mediterranean sea. You can also see how the Atlantic is connected to the Mediterranean via the Midi canal. 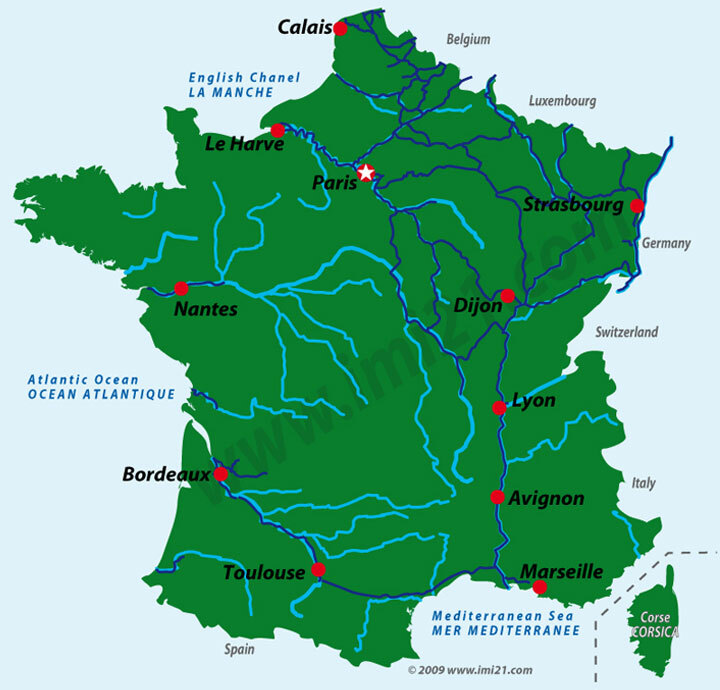 This map maybe useful to help you plan your canal boat and barge holidays in France. If you need more information or have any questions about river and canal cruising please contact us using the form below, of browse our selection of hotel charter barges and self-drive canal boat rentals.